This year, I dreamed of a rose gold holiday. With rose gold as my base color, I sprinkled in accents of blush, burgundy and soft gold for an extra bit of sparkle. From the wreath on my door to the flowers on my dining table, I just love the warm and cheery feel the décor brings to my home. Every room in my home has a decorative focal point, and in my living room I really played up our fireplace mantle. On the rare evening the winter weather in Austin calls for a fire, my family and I love to cozy up in this room. 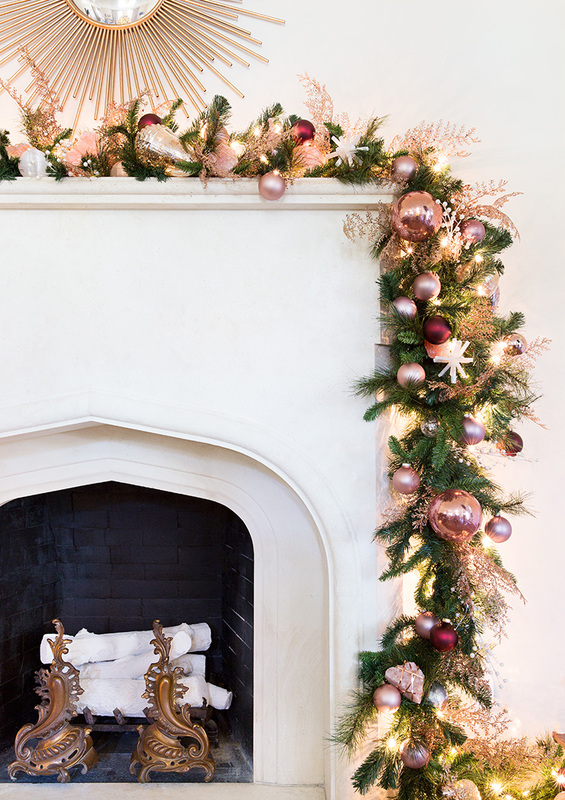 But the greenery and ornaments around our mantle bring it to life even without a fire! How are you decorating your home for the holidays? I'd love to know. Share your festive décor with us by using #kendrascott!